LOVE YOUR JOB (or leave it)! You are here: Home / Career / LOVE YOUR JOB (or leave it)! 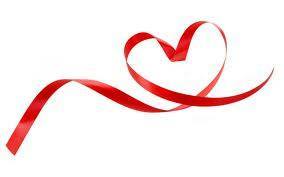 February is National Heart Month ♥ Valentine’s Day ♥ and Leap Year! It may also be a good time to assess your career goals and aspirations. The current job market is strong and people are on the move. If you’re not in love with your job, maybe it is time to update your resume and advance your career to the next level. Whether you want to seek a promotion within the same company or a new opportunity elsewhere, a well-written resume is critical to achieving your goals. Quantify your Accomplishments – don’t just list responsibilities, share explicit achievements. State your Transferable Skills – describe capabilities that would apply across industries. Accentuate your Qualifications & Success in a clear, concise and comprehensive format. In the spirit of this month’s “Heart & Love” theme, JD Coaching & Consulting is offering a special gift ♥ a 30% discount for new clients seeking career and resume writing services ♥ during the month of February. To take advantage of this limited time offer, contact Jodi@JodiDavis.com. To learn more about JD Coaching & Consulting’s Executive / Career Coaching Services visit www.JodiDavis.com.